I’m one of the quadrillions of people in the world who appreciate a good, ideally locally-brewed craft beer after a long day. However, my general rule is that in order to deserve that beer, I have to perform some sort of legitimate physical exercise that merits beer as a reward (and that will counteract the beer’s potential weight-increasing effect). Exercise that qualifies includes a round of golf by walking the course rather than riding in a cart; a trail run that’s longer than my typical short, easy, morning routine; and a road bike ride that has stand-up-on-your-pedals hill climbing. As it happens, Wilmington is one of my very favorite starting and ending points for cycling, and I do have one go-to route that meets the criteria for a rewarding beer at the end. Start on Route 86 in Wilmington and head toward Jay. You’ll arrive in Jay in about 4.5 miles. 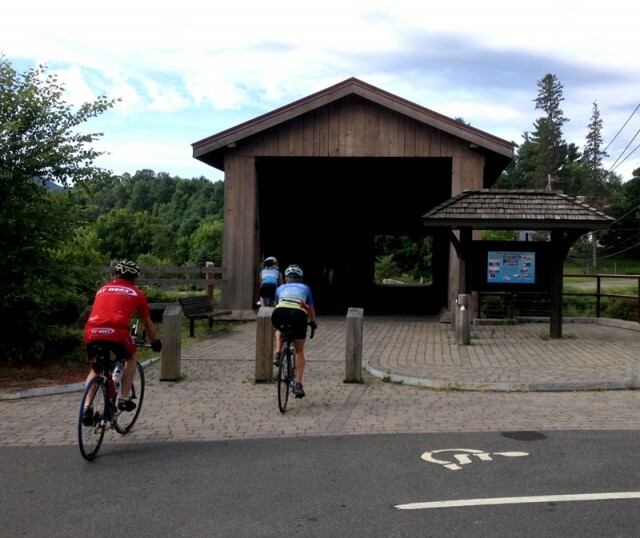 Ride directly across Route 9N and down the hill adjacent to the Jay Village Green to arrive at the Jay Covered Bridge. It’s not accessible to cars, so take advantage of your two-wheeled entitlement and ride across this awesome historic structure. At the end of the bridge, take a left onto a short road that meets Stickney Bridge Road, and take a left onto it. Here you’ll begin the first bit of climbing. The road is extremely scenic, passing through farmland and fields and forests. You’ll go about 3 miles with several steep climbs and some rolling hills. 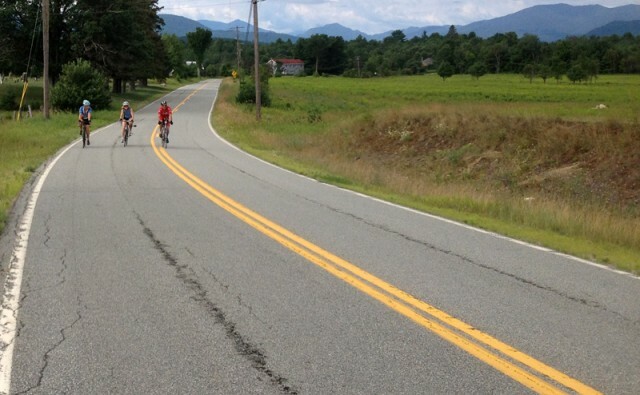 At about mile 11.5 (for the total ride), don’t miss the Grove Road sign toward Ausable Forks. Enjoy descending a screamer of a downhill on Grove Road into AuSable Forks. No worries: This downhill bit does not count against your climbs with respect to the reward beer. 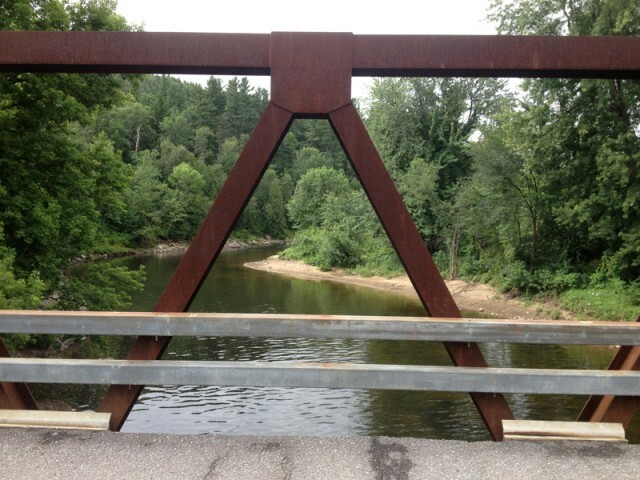 After crossing the bridge, take a right in Ausable Forks onto Route 9N. Go straight past the Stewart’s Shop, which will be on your right, (though you might want to stop to refuel with extra food and water to make it up the big climbs ahead). Continue and take a left onto Silver Lake Road. Ride up, up, UP into the hills of Black Brook along a combination of backroads. The big climb into Black Brook is steep, so spin your way up slowly and steadily. Some of the backroad showcases inspiring views of the Silver Lake cliffs, which is a popular rock climbing area, and might distract from the steep terrain. Eventually, you’ll coast fast down into Black Brook on Silver Lake Road. Be careful not to miss the left turn toward Wilmington on Haselton Road at about the 19-mile mark. 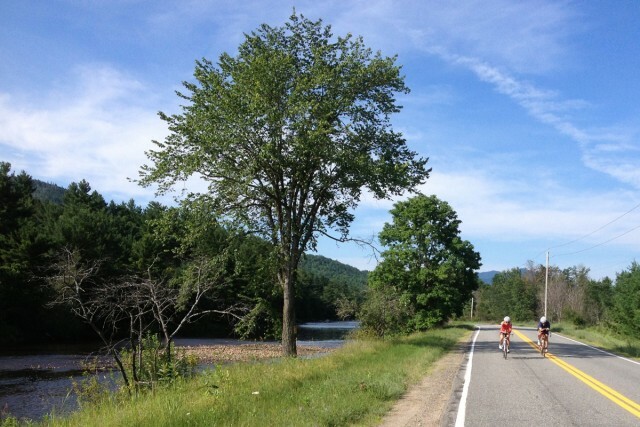 The road is easily one of my favorites in the region, as it winds along the West Branch of the Ausable River. What a spectacular, rolling road that is! Haselton Road intersects with Route 86 in Wilmington, and you’ve achieved your goal - all 26 miles of it. 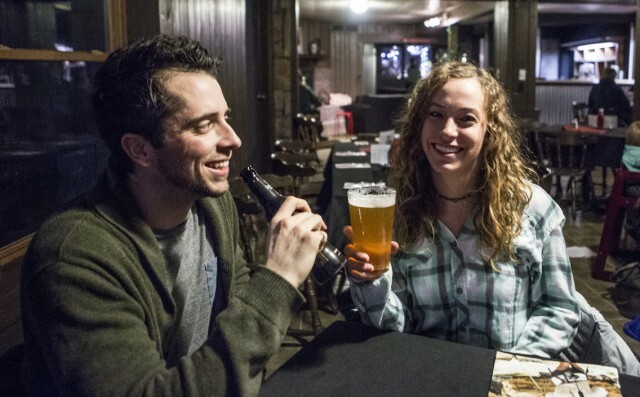 Now that you’re back in the Biking Capital of the Adirondacks, there are a number of options for that well-deserved beer. Following are just some of them! To begin, as its name implies, you’ll find a variety of beer options on tap at Pourman’s Tap House. This is a relatively new restaurant and bar conveniently located near the intersection of Route 86, the Whiteface Mountain Veteran’s Memorial Highway, and Bonnieview Road. Another option is the Wilderness Inn II on Route 86, offering a more fine dining atmosphere, but welcoming to everyone. Continuing down Route 86 is R.F. Macdougall’s Pub, which is part of the Hungry Trout “complex” that includes a hotel, and the Hungry Trout restaurant Though it’s known as one of America’s best fishing bars, I’m sure they will accept hill climbing tales in addition to the usual stories about the fish-that-got-away. Yet a little further down Route 86, don’t miss the River View Cafe at High Falls Gorge. They feature regional beers on tap, New York-made wines, and incredibly tasty light fare, in case you’re hungry. Another great source of craft beer not to be overlooked is the store at North Pole Campground. There you’ll find a large selection of more than 240 beers, including craft and micro brews. You can even mix your own six packs or buy a single bottle. 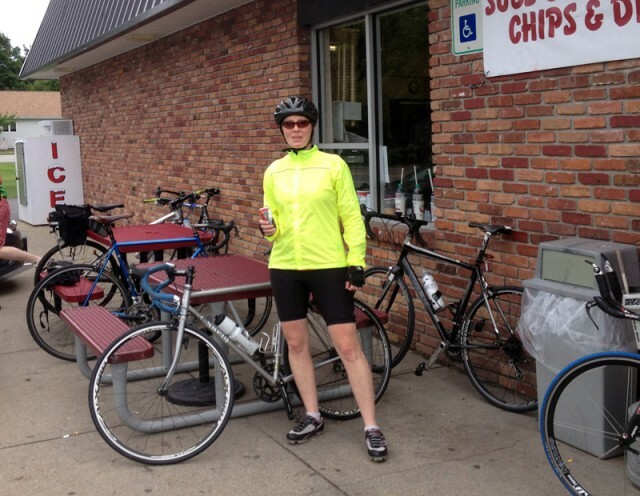 There are plenty of other beer-rewardable bike loops in the region, so stay close and do some more bike riding!